Fortis Hospital, Mohali celebrated its anniversary and 17 years of medical excellence in the city today. On this joyous occasion, the hospital decided that 17 deserving and underprivileged patients will be provided free surgeries. The event was graced by Dr. A.S Sekhon, President, Punjab Medical Council as Chief Guest along with Mr. Bhavdeep Singh, Chief Executive Officer (CEO) Fortis Healthcare Limited, Mr. Ashish Bhatia, Chief Operating Officer (North & East), Fortis Healthcare and Mr. Abhijit Singh, Facility Director, Fortis Hospital, Mohali. Mr. Bhavdeep Singh, Chief Executive Officer (CEO) Fortis Healthcare Limited while speaking on the occasion congratulated Fortis Hospital Mohali on the occasion. He wished the staff all the best and said It was indeed praiseworthy that it was the first Fortis hospital and today it has set an example by providing quality healthcare to not only people from this region but other countries as well. 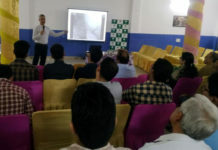 To mark this special occasion, the hospital organized a Continuous Medical Education (CME) on Criminal Liability and the arrest of Doctors and Violence against Healthcare Professionals & Institutions. The participating doctors deliberated on the burning issues in the present scenario and how there are lot of grey areas with respect to the understanding of these topics amongst the professionals as well as the law makers. This CME aimed at providing awareness and education for the target audience which involved cross sectional departments from doctors, nurses, security, admin staff and local police. The CME was chaired by Dr Gurbir Singh, Regional Medical Director, North and East, Fortis Healthcare and Dr Neeraj Nagpal, President, Medicos Legal Action Group (MLAG), Chandigarh. The key speaker on the occasion was Supreme Court Advocate Mahendra Kumar Bajpai, Director, Institute of Medicine and Law, Mumbai.The first ever Convocation for 11 DNB students successfully passing out this year was also organized on the occasion. There were performances by students of Fortis Nursing School. The grand finale was the show – stopper glamorous ramp walk. The attires and dance moves of the doctors carried forward the retro theme of the show while the security staff of the hospital enthralled the audience with a bhangra performance.